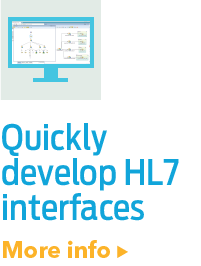 Healthcare application vendors with an XML Schema Definition (XSD) can quickly map HL7 V2 messages to XML, XML messages to HL7 V2, and XML to XML with NeoTool’s integration engine. NeoIntegrate also facilitates the use of the CCR integration standard for Electronic Medical Record (EMRElectronic Medical Record (EMR), as defined in Defining Key Health Information Technology Terms (The National Alliance for Health Information Technology, April 28, 2008): An electronic record of health-related information on an individual that can be...) application developers. 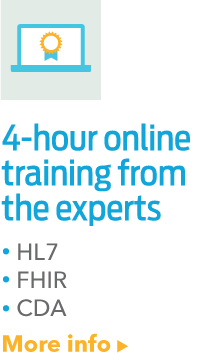 Healthcare providers can easily work with the different XML-based healthcare standards. Similar to the application vendors, healthcare providers can now transform CCR messages to HL7 messages or HL7 messages to CCR messages with NeoTool’s integration engine. The NeoIntegrate 3.0 release includes enhanced log management capabilities that provide a comprehensive audit trail of clinical data exchanges that occur on a real-time basis. It is now simple for healthcare organizations to review log files by: a day, date range, log file type (e.g., raw, error, etc. ), and connection. With minimal clicks, the log file information can be viewed, analyzed, and re-sent, if needed. “NeoTool has always allowed us to manage our interface environment economically. With the new log and disk space management features, NeoTool is enabling us to be even more proactive in our healthcare interfacing environment,” said Mitch Rozonkiewiecz, Vice President of Information Systems for Community General Hospital. Extended XML Support. Provides the ability to import a custom XSD file or XML-based healthcare standard. 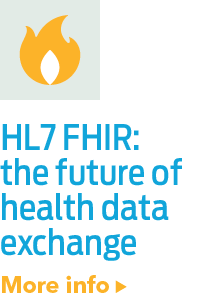 The XSD can be used to map data from XML documents to HL7 V2 messages, allowing a system using XML to trade clinical data with other systems using HL7 V2 messages. Enhanced Log Maintenance. Automatically deletes log files after a user-configured number of days, thereby preventing overloading disk space with unnecessary log files. Monitors disk space on the server where the service is running to prevent disk space from becoming too full, giving customers the proactive capability to prevent data loss. Robust Log Search. Allows customers to open a date range of log files in a single view. Assists in finding messages that span more than one day and graphing message activity over a range of days. Advanced Database Connection Management. Provides the ability to change database connection information for multiple database associations at once, saving time when changing databases (e.g., moving from a test environment to a production environment).